Are you heading to the range soon? 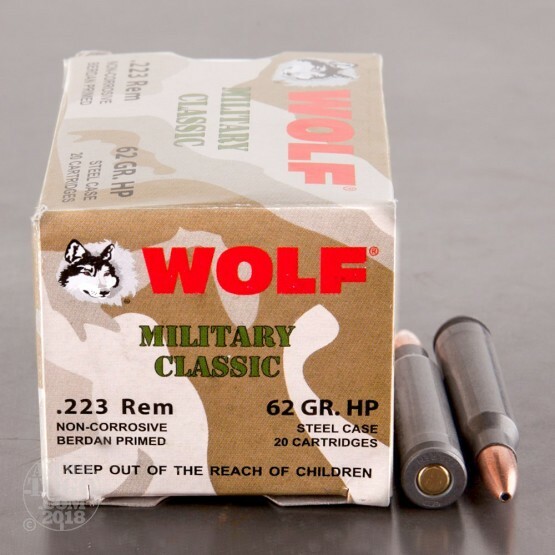 These 223 rem round from Wolf Performance Ammunition (WPA) are a great choice for plinking and range training. 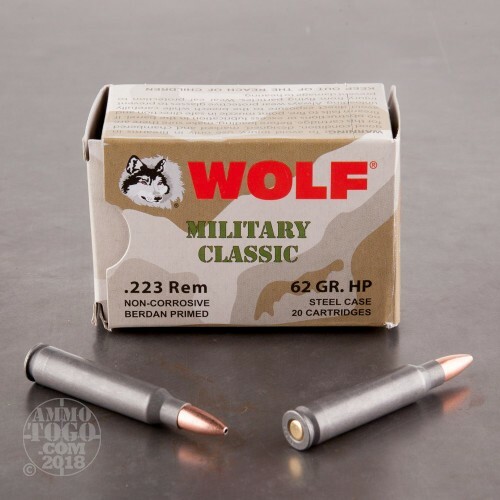 Each round in this box of 20 is loaded into a cost effective steel casing that has a berdan primer and features a 62 grain projectile. These bi-metal hollow points average 2,920 feet per second at the muzzle and will attract a magnet. Most of the steel cased ammo that WPA offers is manufactured in the famous Tula Cartridge Works factory located in Tula, Russia. 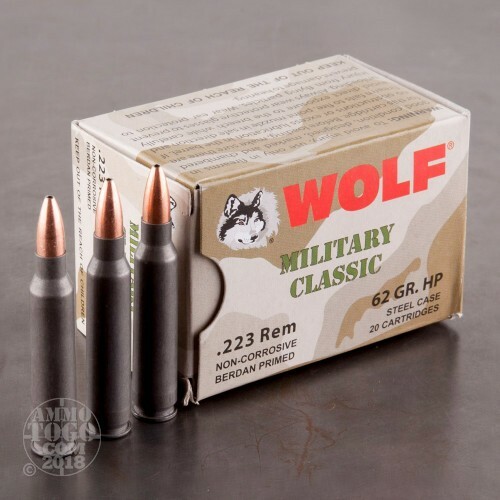 Sporting Supplies International imports this ammo under the name brand Wolf Performance Ammunition and it has a reputation for being affordable and rugged. 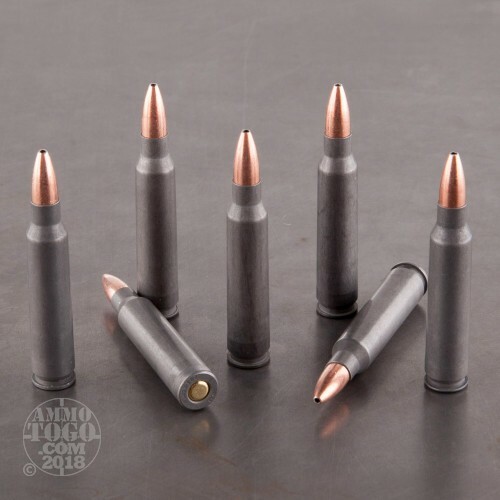 These rounds are perfect for volume shooting at the range.